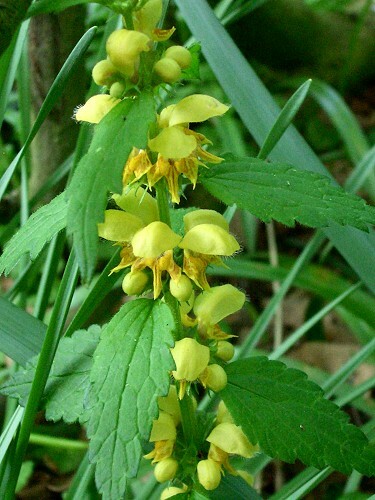 Yellow Archangel, sometimes called Yellow Deadnettle, is and invasive plant found in damp woodland and hedgerows. 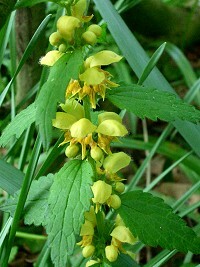 It is very similar to other dead nettles, but the hooded, yellow flower is a different shape. The leaves are pointed and serrated. This plant was used in herbal medicine to stop bleeding and to treat sores and ulcers.